From December, 2015 Costa Cruises newest cruise ships will begin sailing roundtrip itineraries from Rome’s port of Civitavecchia. 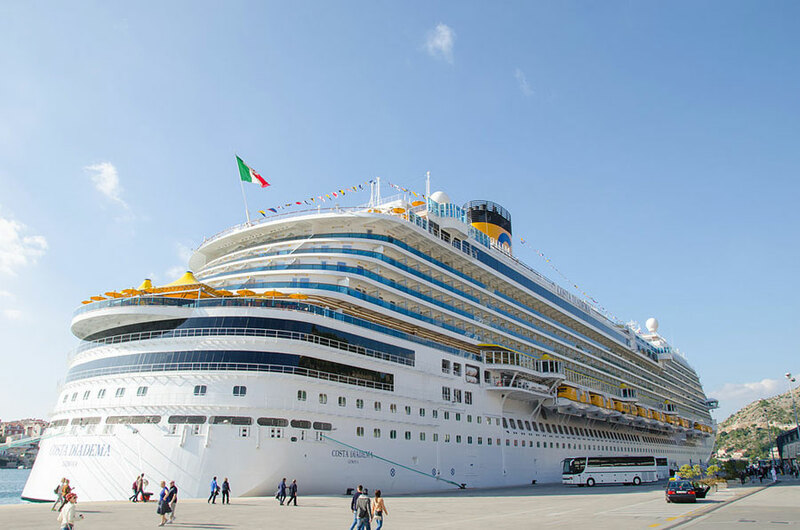 Beginning on Dec. 3, 2015, Costa Diadema’s weekly roundtrip Rome voyages will call at La Spezia and Savona, Italy; Marseille, France; and Barcelona and Palma de Mallorca, Spain. Fares start at $499 per person, double occupancy. having rome as a homeport will give passengers more time to enjoy all the history the city has to offer. Guests will savor some of Italy’s best flavors with new regional menus created by Costa’s Michelin-star chef Fabio Cuccheli. In addition, they will find some of the country’s best wines at the Vinoteca Gran Duca di Toscana – a bar that boasts a menu of 80 labels from more than 50 Italian wineries selected in collaboration with the Italian Sommeliers Association. Launched less than a year ago, the 132,500-ton, 3,693-passenger “Queen of the Mediterranean,” Costa Diadema offers guests a true Italian getaway. The ship – the world’s largest Italian-flagged vessel – features a 1,640-foot promenade on Deck 5 that provides guests with a new way to experience the Med: split-level public rooms overlooking the sea are interconnected to create the atmosphere of a lively seaside resort.